The Poem Farm: One Day...Poetry Friday! If you are an oldie...I welcome you. If you are newbie...I welcome you. Students - Today's poem is true-as-can-be for me, except it is about my children, not my own childhood. If I could live one day again, it would be very difficult to choose which one to revisit. But this one summer day, folding tiny shiny boats with my children up in our creek, would definitely be on my list. Which memories would be on your list? Today's poem tells a memory from my life, not a fancy memory of a big birthday cake or an exciting trip, but a memory when Hope, Georgia, Henry, and I just spent time together enjoying something little...a lot. Here is another foil-inspired poem from the archives, this one in a how-to form. 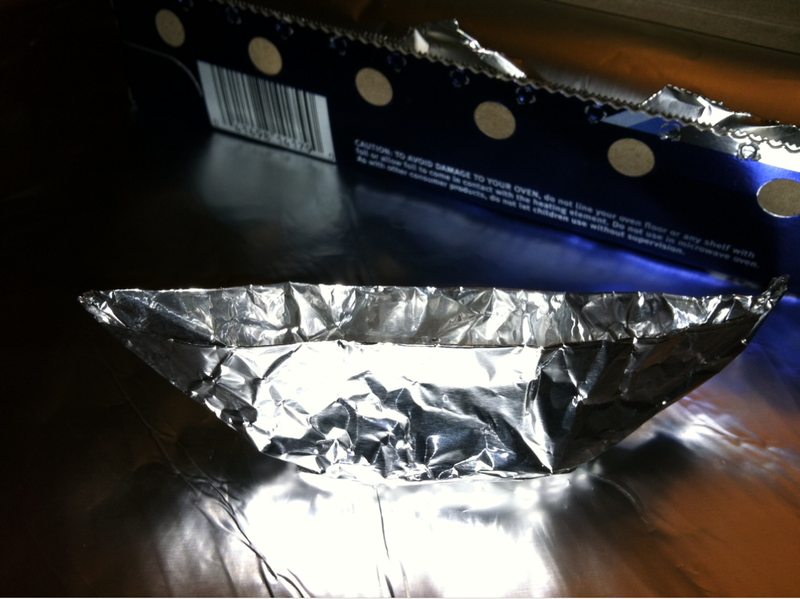 If you make something out of foil and write a poem about it, please send me a picture and your poem. I'd love to share a whole foil-y post of goodness. It's so interesting to see how one topic can inspire many poems. Today I am grateful to host today's Poetry Friday roundup and also to host Mary Lee Hahn (Poetry Friday goddess) over at Sharing Our Notebooks. Peek inside Mary Lee's notebook, learn about her process, and throw your name in the hat to win a new notebook! And now....the round up! I will be in throughout the day, linking to twinkling treasures throughout the Kidlitosphere. Please leave a one-line description of your post with your link in the comments if you would be so kind. Thank you, and Happy Poetry Friday to all! At Father Goose, Charles Ghigna shares a whimsical original poem, "Wild Weather." Joy Acey joins us from Poetry for Kids Joy with a video of her poem "Keys," from THE POETRY FRIDAY ANTHOLOGY. Robyn Hood Black is in at Read, Write, Howl with a wintry Longfellow poem and thanks to a special writer friend. At A Teaching Life, Tara brings us a poem which reminds her of the good old days. Linda Baie shares an original poem about (sigh) her pending move at TeacherDance. At his "baseball poetry outpost" - The Hardball Times - Ed DeCaria offers an original poem about Marvin Miller. Matt Goodfellow has an original poem about an ancient tree at Poems and things! and another original poem about a Posh Witch. Inspired by Hummingbird Lily, Susan Taylor Brown is again ready to write and share an original poem about this small friend. Tabatha shares poetic epitaphs at The Opposite of Indifference. Over at Author Amok, Laura Shovan kicks off her new poetry/antique postcard project with a poem about a postcard from 1908. Welcome to newbie Steve Peterson joining us for the first time from Inside the Dog with his first-ever prose poem about metaphors...and more. Sharing poems written by her 8th grade daughter's classmates, Heidi Mordhorst shares some of their "postcards about New York City" at My Juicy Little Universe. At Growing Wild, Liz Steinglass offers an original acrostic poem about a giraffe. 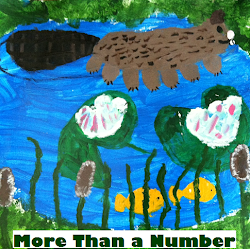 Laura Purdie Salas is in with Four Poetry Things for a Friday: one of her favorite poetry how-to books, an award shout-out, a poetry giveaway, and a thanku poem over at Writing the World for Kids. Mary Lee Hahn's post at A Year of Reading will redirect you to her peanut poem at Jama's Alphabet Soup and a peek into her writer's notebook to see how that poem was born at Sharing Our Notebooks. Newbie Margaret shares an original ekphrasatic poem today at Reflections on the Teche, a tribute to a work of art by her artistic father. Over at Teaching Young Writers, Betsy offers an original poem about a bag that is no longer just a bag. 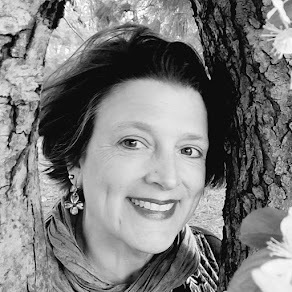 Over Random Noodling Diane Mayr talks about Ekphastic Tanka, Kurious Kitty shares "The James Bond Movie," Kurious K's Kwotes' P.F. quote is by Charles Simic, and The Write Sisters has an old poem called "To the Terrestrial Globe." Jama is going nuts for the last time this month with a heaping platter of peanut butter madness by Linda Baie,Cathy Ballou Mealey, Betsy Hubbard, Mary Lee Hahn, Renee LaTulippe and J. Patrick Lewis at Jama's Alphabet Soup. Matt Forrest Essenwine has just had four poems published by the folks at YARN and shares the news at Radio, Rhythm, and Rhyme. At There's No Such Thing as a Godforsaken Town, Ruth offers us Jacqueline Osherow's poem, "Window Seat: Providence to New York City." At Booktalking, Anastasia Suen is reading Jane Yolen's HOW DO DINOSAURS SAY MERRY CHRISTMAS? Karen Edmisten brings us a poem by Jack Gilbert at Karen Edmisten: The Blog with the Shockingly Clever Title. 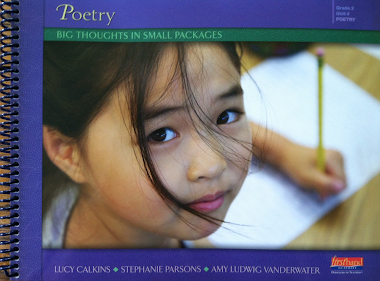 Sylvia Vardell shares clips from the NCTE Vegas pink poets at Poetry for Children and offers a poem by Guadalupe Garcia McCall at The Poetry Friday Anthology. Over at Violet Nesdoly/poems, Violet shares a light piece wherein she explores what you can do with a bathtub. Iphigene is posting today at GatheringBooks with an original poem titled "The Sailor's Certainty." 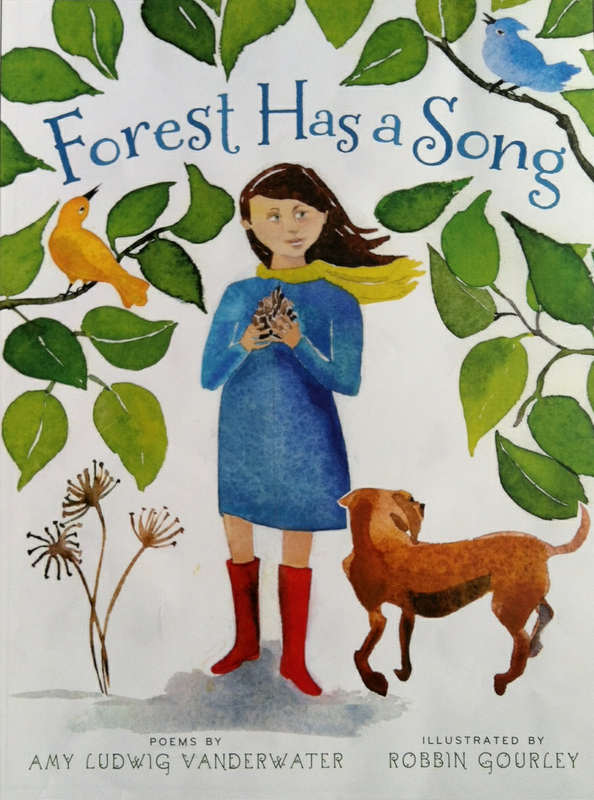 At Wild Rose Reader, Elaine Magliaro has an original animal mask poem about termites and a short video of her granddaughter walking around her yard in her new brown boots. Bridget Magee shares "Puppy Welcome," an original poem about her dog who has no sense of time, at wee words for wee ones. At All About the Books with Janet Squires, Janet talks about is BIG TALK: POEMS FOR FOUR VOICES by Paul Fleischman with illustrations by Beppe Giacobbe. At MotherReader, Pam is sharing a music video, "Some Nights," with poetry in its lyrics. Jeannine Atkins shares a post about Leslea Newman's verse novel OCTOBER MOURNING: A SONG FOR MATTHEW SHEPARD at Views from a Window Seat. JoAnn Early Macken offers her original weather poem, "Missing Hue," at her blog. At On Point, Lorie Ann Grover shares her original haiku, "Sentinel." At Check It Out, Jone interviews more CYBILS poetry panelists. Carlie joins us from Twinking Along with "Ripe Visit," an original, free-verse poem about a juicy, warm vacation. Amy discusses author Alan Katz's work and inspiration for writing at Mrs. Merrill's Book Break. Hi, Amy! Thanks for hosting. I love "silver-sailed... ." Can't wait to see your books next year! Thank you! I'm off to visit Mary Lee now! Hi Amy. Thank you for hosting. I enjoyed both of your foil poems. Rather than reliving a day, I think I'll make a new memory by reading your how-to foil poem to my daughter tomorrow -- she's been on a foil kick lately. She likes to wrap little treasures (e.g., crayons, tape dispensers, hair clips) in foil and give them as "birthday presents". I have written a new concrete poem at my baseball poetry outpost, The Hardball Times, dedicated to Marvin Miller, the legendary MLB Players Association leader who passed away on Tuesday, 11/27/2012, at age 95. He is widely considered the non-player who most deserves enshrinement in the Hall of Fame for his impact on the game ... but has been repeatedly (and most would say unfairly) denied. The poem is called “Flag At Half-Mast”: http://www.hardballtimes.com/main/article/tht-poetry-flag-at-half-mast/. Hi Amy, thanks for hosting. I have two poems this week. Dearest Amy, thank you so much for hosting. Oh how I love the image of your silvered salamander. My goodness, Amy, you are fast! Thank you for linking to me before I even said boo! Sweet poem, Amy! I'll bet your sister holds it dear! Thanks for hosting. Hi, Amy. My brothers and I loved playing with salamanders at the lake -- something we've passed on to our kids! I am starting a poetry project using antique postcards as prompts. My first poem and card (from 1908!) are up today. I'm a newbie. Thanks for hosting! Suddenly, I could even smell that day. Days really can be deep, especially in August as a kid. Thanks! This week, I wrote a first-ever prose poem about...hmmm...metaphors and a little something else that I"m not really sure about. What a fun day. I love the tiny shiny ships. Today I have an original acrostic poem about giraffes. What a lovely image your poem evokes, Amy! I'm in with Four Poetry Things for a Friday: one of my favorite poetry how-to books, an award shout-out, a poetry giveaway, and and a thanku poem. 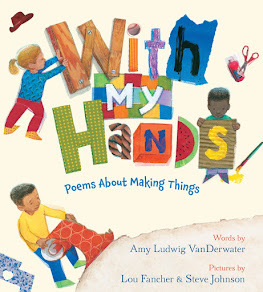 My post this week will redirect you to my peanut poem at Jama's Alphabet Soup and a peek into my writer's notebook to see how that poem was born at Amy LV's Sharing Our Notebooks! Thanks for hosting Poetry Friday. I'm a newbie. Love your poem, the rhyme and rhythm of it, and especially "silver-sailed, winking in the sun." My poem today is a tribute to a work of art by my father. He does pointillism and creates a new piece each year for their holiday cards. My poem is an ekphrastic poem, a poem about art. Here I am quickly with my link. I will come back to read all the wonderful bits and offerings later! My poem is about a bag that is no longer just a bag. Amy, yes, I cannot imagine choosing just one day. I love the play OUR TOWN, how she picks the most ordinary of days to re-visit -- and it breaks her heart for all the took for granted and wasn't able to appreciate while living. Good reminder there. And yay for foil-wrapped goodness! Your post is joyous and inspiring, as ever. A foil poem! Who woulda thunk it! At Random Noodling I talk about Ekphastic Tanka. Kurious Kitty shares "The James Bond Movie." Kurious K's Kwotes' P.F. quote is by Charles Simic. The Write Sisters has an old poem called "To the Terrestrial Globe." Love your poem, Amy!! Those "tiny shiny ships" are so magical! Your poem is so touching! Both young and old can appreciate the imagery and emotions you portray...nicely done! Thanks for hosting, Amy. I love the poem! I'm in this week with a poem by Jack Gilbert. It's here. Brilliant as always and the best thing is your post makes me want to write another poem! My Poetry Friday offering is a light piece wherein I explore what you can do with a bathtub. It's here. Love your poem based on an actual childhood experience of your own kids. It sounds like a memorable day. At Wild Rose Reader, I have an original animal mask poem about termites. I also have a short video that I took of my granddaughter yesterday as she was walking around her yard in her new brown boots. Thanks for hosting this amazing round-up of poetry! And thank you for the vivid images and emotions with your foil boat experience. My poem today is about the unconditional love of our crazy dog - who has no sense of time lapse. My selection is "Big talk: poems for four voices" by Paul Fleischman with illustrations by Beppe Giacobbe. I really enjoyed hearing you read your touching poem! Loved your poem! What a treat to hear you read. Thanks for hosting today. At On Point, I've written a haiku, Sentinel. looking forward to your books. You are an inspiration. Thank you for hosting. I look forward to my weekend meander through this great list of delicious poetic material. Such a great tradition. I am sharing an original, free-verse poem today about a juicy, warm vacation. Its entitled Ripe Visit. I just discovered this blog and my first reaction is "wow!" What a great, great site; very inspiring. I hope to contribute in the future. And I don't mean to sound self-serving, but I write songs about children's books (and reading in general) and teach students to do the same. If you're interested, please check out my blog at the following link. Thanks, and thanks for doing what you do! Thanks for hosting Poetry Friday! And for sharing such great poems and poetry inspirations! I am sharing some poetry inspiration that I was able to obtain at the NYSRA conference. Alan Katz is a very funny author who I was lucky enough to meet! I loved your poem, Amy! Those are the kinds of childhood memories to capture, and you did it so well! Thanks for hmosting Poetry Friday! Today I am discussing author, Alan Katz's work and inspiration for writing. What a sweet memory. I love that you would choose this day. This poem reminded me of my childhood. I always loved exploring the river near my house or the small pools of water that would form. Spying on the occasional frog or algae growing nearby was always fascinating.